Spotted around the globe from high alpine elevations all t he way down to sea level, R1® earns rave reviews from the most active customers and ambassadors alike. Warm, breathable and mobile, it has the minimalist detailing that avid anglers and outdoor enthusiasts rely on. Award winning R1® is earth-friendly (R1® fabric made with 60% recycled polyester). R1® fleece provides excellent stretch, warmth, wicking and breathability in a variety of temperatures. Many of these traits are signatures of the entire Regulator line up. R1® comes in a host of styles, colors and sizes and is recyclable through the Common Threads Recycling Program. If you are in need of a holiday gift idea for an angler, skier, climber, hiker, runner, walker or someone who you want to keep warm then consider R1® as a possible option. R1 is the bomb. I've been really loving the hoody. 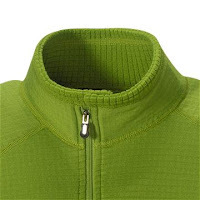 It's hard to find a warm garment that has a tight fitting hood that zips up to you nose. 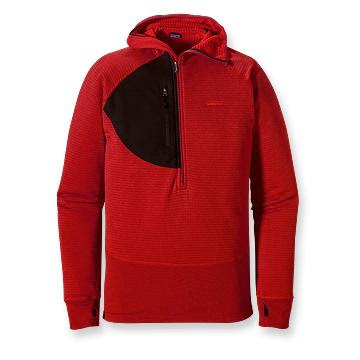 The offset zipper doesn't get all up in your grill and doesn't bother your face when you have it fully zipped. I lived in that shirt for a month straight in Mongolia. Thumb slots can make shift for gloves in some cases as well. Good for rowing. It's also been sweet for riding. The hood provides some sun protection as an alternative to sun screen in harsh alpine climate. R1 pants have made things possible for me that i wouldn't have even considered before. Those pants changed my life! Add some Capilene and an R4 into the mix and it's a whole different ball game. I'm so down for snow camping now, late night fishing and early and late back country treks in the snow. It's a whole different level of warmth and comfort that what i was used to growing up. R1 is by far my most beloved piece of gear. I take my PO everywhere: snowboarding, fishing, through europe during the winter (never washed it in a month). The R1 hoody is the most versatile top ever made, period. During a month of backcountry travel in AK, I took it off once, only to wash it. Fished in it, slept in it, cooked in it, hiked in it....lived in it. The hood doubles as a warm hat and half a bug net to keep them off your neck & ears. Works great to keep the sun off your ears as well. The extended sleeves with thumbholes help keep your hands warm and bug free. Worn with lightweight capilene underneath, it moves with you whether you're casting or swinging ice tools, and layers perfectly under a Micro Puff Vest or Down Hoody. I pretty much live in my R2 jacket or R1 hoody ten months a year. The fit is awesome and the durability rocks. It seems like I use the chest pocket zipper a hundred times a day and it’s never failed me. Those are two items that you need to put on your must have list. When the river tries to freeze solid, I’ll suit up with an R4 jacket and an SST shell, and I’ll stuff a Micro Puff hooded jacket in my pack. I'm always in-between medium and large with clothes. I have the Guidewater jacket - it's roomy at size L.
Thanks for the comments Way Upstream team. R1 and the whole Regulator collection have really helped shift the concepts of base layer and insulation technology forward, especially in a low bulk, lightweight way. 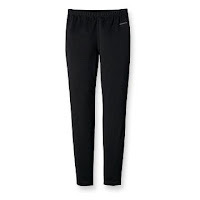 The sizing on base layer products tends to be on the form fitting side JockScott. Insulation and outerwear fit can vary based on the intended function. In the Fish category, the jackets are full cut (relaxed) and may seem roomier than jackets in some other Patagonia categories. And the roomy cut of the guidewater is appreciated. I'm looking forward to picking up an R1 hoodie after christmas (when I'm allowed to spend money on myself again)... my question still remains though... if you're on the fence in sizing with this piece, is it better to go for the larger? Or stick with the tighter fitting smaller size? I had that same question myself JockScott. I am in between M and L (mainly due to my beer-belly). The thing is that R1 is extremely useful under cold weather and i would say it will work better if it is close to you. My choice was to go with Medium. Regards to the whole Wayupstream community. Thanks for the question and dialogue guys. I'm on the boarder of M and L too and in the case of the Regulator styles I prefer the L. The best way to know is to try both sizes on. Some comments regarding fit for styles with Patagonia. Our fit for the base layer products are close fitting to be worn next to the skin. Insulation and outerwear fit can vary based on the intended function. Fish category, the jackets are full cut (relaxed) and may seem roomier than jackets in some other Patagonia categories, as stated by El Pescador. What you need to keep in mind is, how do you wish to wear your garment?? next to the skin? or do you plan to wear it over other layers? Size down for next to the body and up for putting over layers. But I think El Pescador says it best, try both on and see what you like best! Thanks all. Always a helpful group. Ahh... someday, maybe I will have a Patagonia dealer close to home... but at the moment it's only a dream. We have an independant adventure outfitter, as well as an MEC that carry Patagonia gear, but the selection leaves something to be desired. 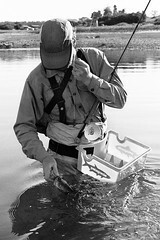 I rely on the Patagonia site, my fishing buddies and the folks on this blog... but so far, so good.